What's New Zealand all about? There are more than 220 million people living and working in countries other than where they were born. Every year, about 50,000 new potential migrants arrive in New Zealand as part of this mobile global workforce, in search of rewarding careers and new opportunities. In the last year the population has seen net growth, and by way of illustration, the forecast is for Auckland to grow to be a city of 2.4 million people by 2040. 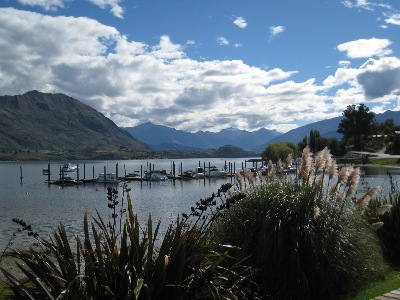 New Zealand is a very young country, a melting pot of Pacific and European cultures which is still evolving. The economy benefits hugely from migrants bringing in their qualifications and work experience to enrich the professional skills base with new ideas, different approaches and fresh thinking. Migrants are also highly-motivated to succeed, with a positive attitude and strong work ethic. Of course, settling in any new country is a two-way process: you will work hard to integrate but the society you are entering also has to make efforts to welcome you and to help you settle. The notes below offer some orientation to the challenges that new migrants and their employers will face. Your prospects through the eyes of a New Zealand Employer. When you are planning a move to live and work in a new country, maybe to create new opportunities for yourself and a new future for your children, you face a huge change in your life. It is exciting and challenging - and sometimes quite daunting. The pressure is really on you to try and make the best decisions for everyone, often in a relatively short time- frame, and so access to good information, thorough preparation and an initial orientation to the society you are thinking of moving into is critical. We should know - we did it ourselves. We spend a lot of time talking with ‘offshore’ candidates trying to explain what it is like to live and work in New Zealand. Many things will be quite different to your old home; some, depending on where you come from, will be very familiar. We have set out below some thoughts and insights, based on our direct experience, about how New Zealand employers view Immigrant candidates, to try and help you see yourself through their eyes – this should help you to anticipate their needs and concerns and so be better prepared to rise to the challenge of securing the job you really want as the foundation for a new life 'down under' in New Zealand. New Zealand is the youngest country on Earth, geologically-speaking, and has a relatively small but enterprising and diverse population that combines a Pacific and European heritage. Kiwi ingenuity and the ‘can do’ attitude is renowned the world over, but in spite of this there continues to be a skills shortage for key skills, especially as technology evolves at an ever-quickening pace. This creates a vacuum in the employment market and a fertile ground for those from outside New Zealand to exploit their skills and experience whilst making the most of a very special environment. Immigrants naturally have high expectations of their future employers, but you must remember that it is a commercial and competitive job market which is carefully managed by the government and the immigration authorities. New Zealand employers are often obliged to demonstrate that they have already made extensive (but unsuccessful) efforts to employ a native New Zealander for the advertised vacancy before they can consider bringing people in from overseas (unless the role is on the latest Skills Shortages list, of course). This is only natural and exactly what you’d expect in your own country. So what will a Kiwi employer look for in you? There’s a saying that people are hired for aptitude but fired for attitude. That is probably true no matter where in the world you work. People who look great on paper may simply not have the right approach to the way they actually perform their work to fit in, and this may not be quickly apparent. Here are some simple pointers about what to expect and to consider in your own approach. Employers understand that people come from diverse backgrounds and cultures, and there is already a rich mix of people in New Zealand society. Someone who arrives with the attitude that they are the so-called “great white hope” come to save the company will probably be left knocking at the door. Arrogance and conceit do not get much mileage in Aoteroa; people would rather be impressed by what they can actually see you doing, without making a big song and dance about it, and this will soon win you their respect. Employers need your skills and experience, but may well have been stung in the past by those who were trusted on the basis of what they said they could do in order to secure a job quickly. They naturally expect that you will be anxious to start work, but your motivation must be to secure the right job, not just any job. Jump in too quickly and the inevitable result will be that you are unhappy and looking to move on all-too-soon: this will damage the company, who now have to replace you at further cost and retrain someone new; it will also damage your future job prospects as well. Therefore, please be honest with employers about what you can – and cannot – do. Your honesty will certainly be respected, and if they sense that you have the right attitude, then this may well overcome any reservations they have, because they can always teach someone who is willing to learn and build on the basics they already have. With this going on, be prepared to seek support from your employer, and there are also migrant agencies who are dedicated to helping you settle in to your new home. There is also an expectation that people will have a broad base of skills, be adaptable and be willing to turn their hands to new challenges, applying their initiative (otherwise known as good old-fashioned ‘nowse’) to nut out a problem when they run into it. Someone who arrives and expects to secure a job offer and then see it held open for a long period whilst they set their lives in order elsewhere is likely to be disappointed, and we do run into unrealistic expectations on occasion. A vacancy will normally exist because the company has an urgent need for someone TODAY and so the more you can do to facilitate your availability (allowing of course for the requisite work permits) the better. This requires thorough planning and preparation, and there is no one better placed to help yourself than YOU. We work hard on behalf of candidates, but we do not have a magic job wand to wave. Think about it from an agency point of view: in a small private business, when you have a finite resource and the option to assist the motivated candidate who is well prepared, versus the one who has a badly organised resume and poor supporting information, who would you give priority to? It's a 'no brainer'. Many candidates will have worked hard to earn their qualifications, but there are often different levels of expectation in other countries. You can really assist your potential employer by establishing the New Zealand equivalency of your specific training and qualifications in a NZ context, and there are links on our web site to this particular authority. You should not expect anyone to automatically understand the full worth and implications of what you have done before. Remember also that what might be quite a high level of qualification in one country may be relatively commonplace in another, so be sensitive to this. Once again, put yourself in the employer’s position: recruiting people is expensive, a real investment of time and cost, with the return on that investment being your long-term contribution to that business - as well as YOUR long-term happiness in a role that fulfils your career aspirations. Employing the wrong people is even more expensive, especially in a developed country such as New Zealand, where there are robust labour laws to protect employer and employee alike. Those companies who seek a work sample may well have had some bad experiences in the past, so please do not think ill of them if their trust has been damaged by those who went before you. Remember that you are not legally entitled to work without a Work Visa, but you are allowed to demonstrate your skills and suitability for a role in a short unpaid assignment or trade test, which may be just a few hours in length. This is a small price to pay for verify that you are in the right role, and your commitment will not be taken advantage of unfairly. If you are in a “tools" type profession, there may well be the expectation that you will have your own equipment, so think about this before you start selling off everything before you move. Allowance will normally be made for you to ship your tools to New Zealand and loan you sufficient equipment until the container arrives, or it may prove more economic to buy new tools over here – that will be for you to determine. Once you have a job offer, then you will need to apply for your NZ Work Visa – and remember that it is an application which can be refused at the discretion of the Immigration authorities. NZ employers work hard to maintain effective working relationships with Immigration staff, but sometimes delays can arise, especially at busy times. This can be frustrating for employer and employee alike, so the key thing is to maintain regular feedback on progress, and respond quickly to any requests for additional information. Remember that these people are working hard to help develop New Zealand’s capabilities, as well as to preserve those characteristics which make the country special, which is probably why you want to come here in the first place! State-of-the-art bush communications, photographed on Stewart Island. New Zealanders are proud and independent people, but they also embrace those who are prepared to get off their backsides, show some initiative and get stuck in to a challenge, no matter where they've come from. Your reward will be a warm welcome and a rich and rewarding life-style in a truly-beautiful and unique country. What are Kiwis like at work? Immigration New Zealand provides free information for new migrants about living in New Zealand. NZ Immigration has extended the validity period for Health Screening and Medical reports in support of visas.